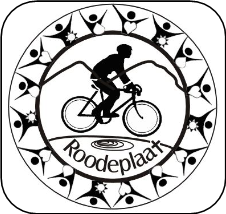 The 2018 Roodeplaat Challenge starts and finishes at the Kameeldrif NG Kerk near Roodeplaat Dam in Pretoria. All routes are uniquely named after invasive plants. The race coincides with the Kameeldrif Bosveld Kuierfees, which means cyclists can expect a wonderful traditional, festive, family friendly atmosphere at the race. 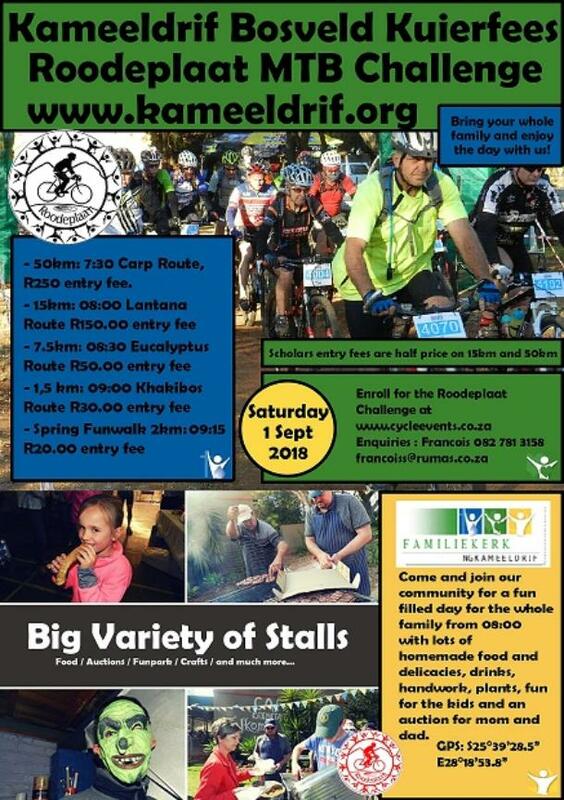 There are 4 different routes which riders can choose from - the 50km Carp Route (the only and unique route around the Roodeplaat Dam), the intermediate 15km Lantana Route, the easy 7.5km Eucalyptus for the whole family as well as a 1.5km Khakibos Kiddies Challenge. The Tshwane Roodeplaat MTB Challenge is held in the expanse of untamed bushveld with various species of game and bird life. Roodeplaat Dam and surrounds is a well-known destination for big 5 game viewing and bird watching as well as mountain biking and a range of water sports, including fresh water angling. Prysgeld van R5000 vir die skool met die meeste inskrywings op die langer roets 15km en/of 50km. We allow later entries for BOTH races on BOTH day. If you haven't done the MTB Roodeplaat Challenge, you're missing out on a big adventure! Click here to visit NG Kameeldrif website.